"Bring Lawn Chairs or Blankets and come ready to move with the action!" 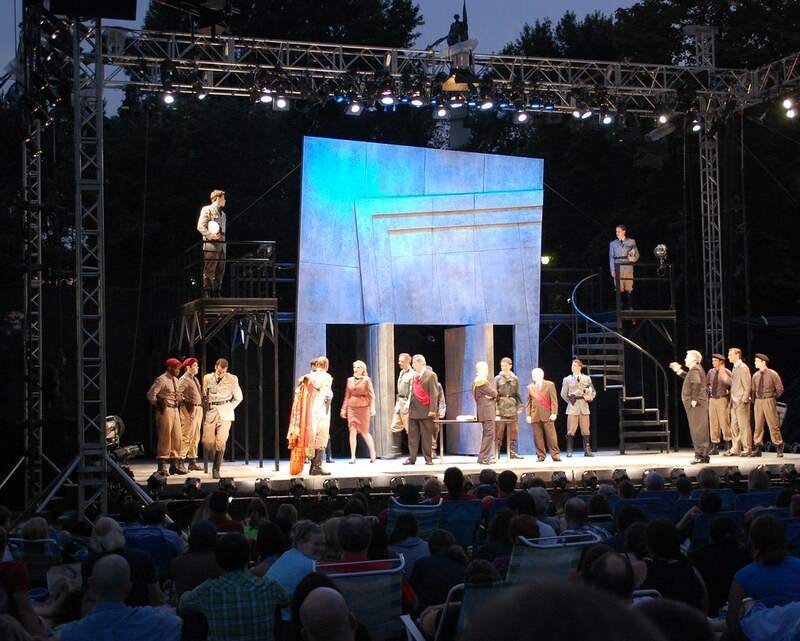 Shakespeare on the Common: "Love's Labour's Lost"
We usually get only one free Shakespeare production per hot, humid Boston summer. The Bard asked whether one can desire too much of a good thing, but we can handle a double-shot of classic theatre al fresco. The Commonwealth Shakespeare Company has been performing in Boston Common for two decades. There is high production value with big, stylized sets and actors who have appeared on Broadway and TV. Although "Love's Labour's Lost" is not one of the most accessible comedies in the body of work, this is always a delightful way to sit in the park for a couple hours. 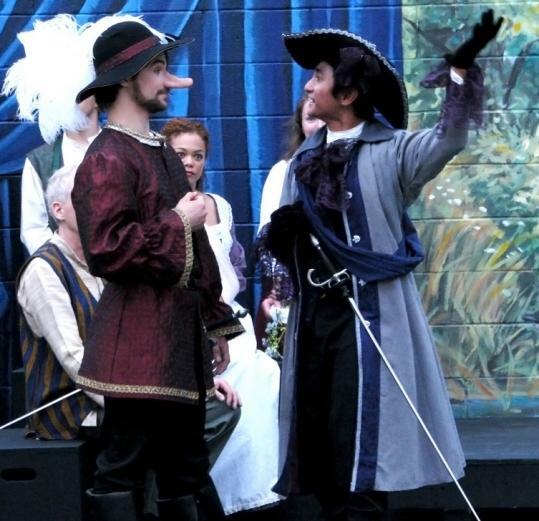 On the other hand, I watched Apollinaire's thoroughly entertaining version of "Cyrano" a few years back in a different Chelsea park. The actors were wearing period costumes, but it was a bare-bones affair. I am seriously considering hopping on the #111 bus to catch their inventive approach to the travails of our favorite moody Danish prince. Instead of set changes, the audience will watch the drama move to 10 different locations in the park.